Imagine a lawn that will look and feel perfect every day of the year, despite the weather conditions and foot traffic! TigerTurf Diamond Pro Spring is the perfect drought-friendly landscape for any commercial and residential landscape property and requires minimal maintenance! Diamond Pro Spring synthetic turf features a beautiful dual shade of field and lime green grass blades paired with a brown thatch layer. The approximately 75 ounce face weight is tough, durable yet still soft and pliable for children and pets. 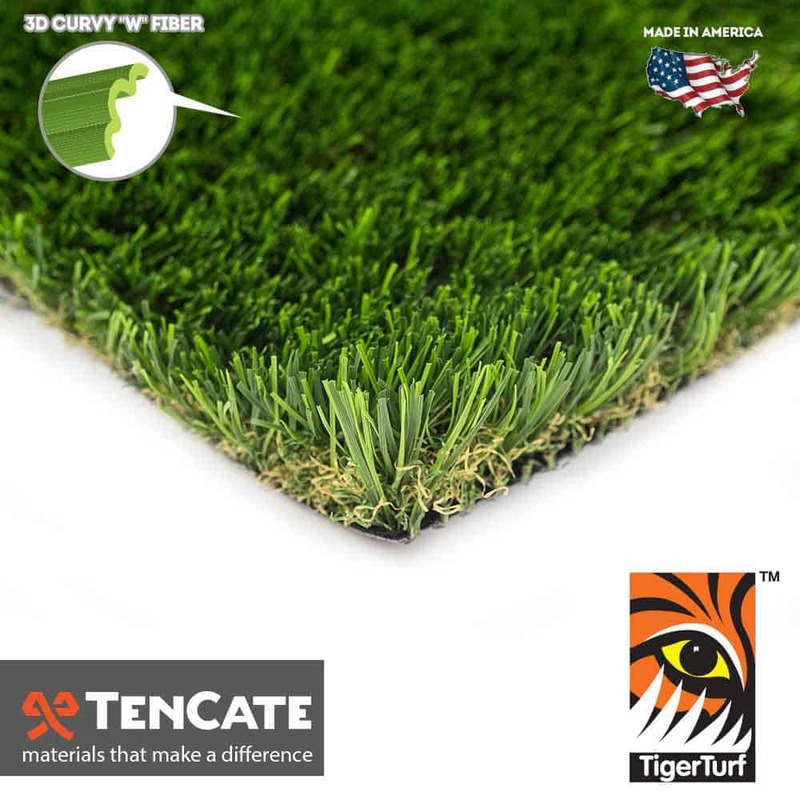 This is a perfect turf for those high traffic areas as the open ‘W’ shaped grass blade features a strong resilience. Diamond Pro Spring also features triple reinforced backing technology known as ‘tuft bind’ where the grass blades are secured within the backing. This creates an extreme resistance to pull force. In addition to this feature, Diamond Pro Spring turf backing is also perforated so liquids can easily pass through with no added mess to the lawn! Guaranteed to last, Diamond Pro Spring is a perfect landscape alternative and will help your client’s save time, water and money! The perfect synthetic grass has arrived!